Cambridge University Press, 9780521413114, 340pp. 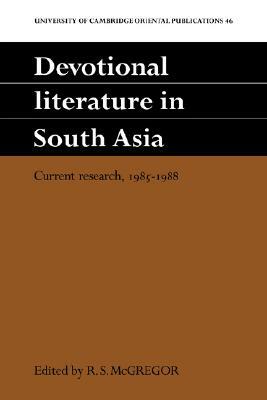 This volume addresses recent research topics within the field of bhakti literature, the devotional poetry and other compositions of devotional character in the earlier literature of the modern South Asian languages. Its papers range from the roots of the bhakti tradition in the early history of krsna to its modern adaptations in nineteenth and twentieth-century culture. Geographically, they span Bengal to Sind, Panjab to Maharashtra. Materials in six modern languages are discussed: Bengali, Gujarati, Hindi in its main literary forms, Marathi, Panjabi and Sindhi; with assessment also of material in Sanskrit, Arabic and Chinese.